The App Door specializes in mobile app development for iPhone, iPad and Android. We build tools that achieve quality results, while building brand and market awareness to ensure success. Getting a custom app just got quick, easy and affordable. We have had our apps features by Apple in 7 different sections of the App Store, and have been featured by the likes of CBC Radio, Outdoor Canada, Alberta Venture, CTV News, the Edmonton Journal and more! Put your business into the palms of your customer's hand. 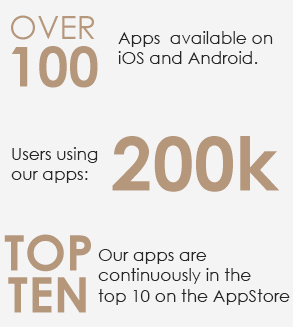 Get in touch today to get your own app!